Hello, I’m Robert Long, welcome to my site. Quality ballet class music can be hard to find. 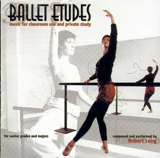 This site offers three albums of original piano music for ballet class, including barre (selections play twice for ballet classroom convenience) and center floor practice with port de bras, adage, pirouettes, petit allegro and grand allegro. 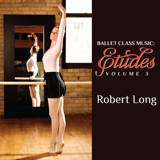 My Videos page now includes several examples of ballet teachers demonstrating their work accompanied by music from my albums. Take a look so you can see different uses for my pieces. Click on the album covers below to go to listening samples for all selections, or the ordering links below each album cover for numerous CD, download, streaming and (for Etudes II) sheet music options. Visit the site menu for more information, including testimonials, resources and more. I hope you’ll enjoy your visit (and thanks for dropping by!). 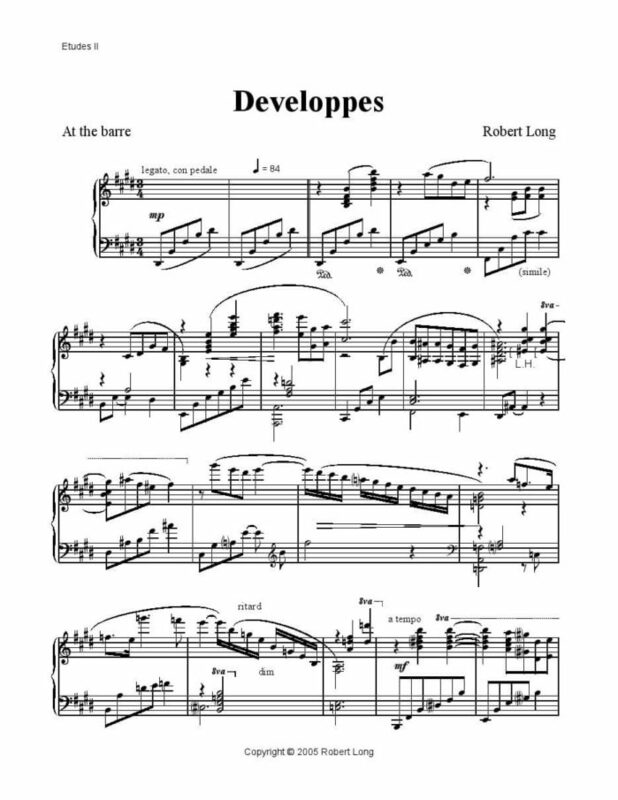 The Etudes II album (complete) is available for purchase in pdf file format. It has often been said that the choreography of ballet is rooted in the music, but for me, the experience has been somewhat different. From an early stage I became fascinated with musically interpreting the balletic movements I was witnessing, and that is, to a large extent, how I learned ballet accompaniment. You can read customers’ comments by clicking on “Testimonials” in the Menu, or you can get in touch with me (go to “Contact” in the Menu) if you have any questions or comments about music for ballet class and my albums.